Toyota has just produced its 2.5 millionth Yaris since it started production in 2001. The compact city car rolled off the production line recently. It is a white Yaris Hybrid - one of the most popular models ordered by Toyota’s European customers. Over the first three months of 2014, the hybrid variant made up 31 per cent of total Yaris European sales, leading to record monthly sales in January, February, and March, the best-ever month for Yaris Hybrid sales. 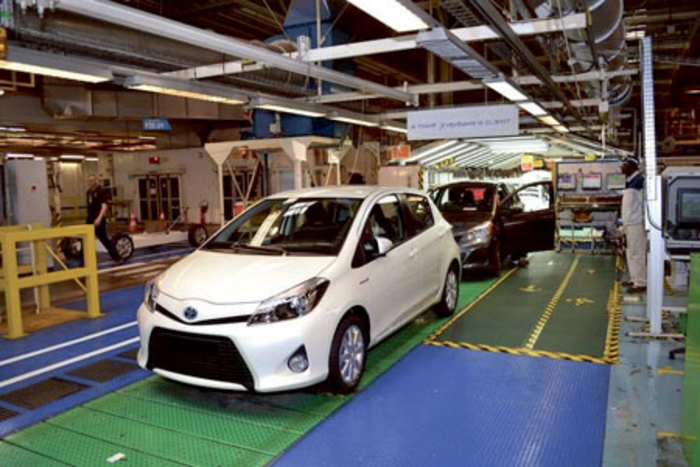 The sales success of Yaris and Yaris Hybrid led Toyota to plan a 15 per cent increase in production for 2014 and introduce a third production shift from June onwards. Toyota will then be producing 1,100 Yaris per day versus 840 today. The plan for the 2014 calendar year is to produce around 220,000 Yaris, including around 25,000 for export to North America. The three-shift organisation requires recruiting an additional 500 production members, bringing employment at the Valenciennes plant to more than 4,000. Since recruitment started three months ago, more than 9,000 candidates have applied for jobs at the plant and more than 300 have already joined the initial four-week training. The training leads to a formal qualification certificate under the French professional qualification system. The plant will start operating on three shifts as of June 16, 2014, which is the timing of the start of production of the restyled Yaris unveiled earlier this week. Both the exterior and the interior of the Yaris have been significantly renewed, positioning the car amongst the strongest contenders in the highly competitive B-segment once more.